Lord Mahavira once said “Don’t be proud if you gain. Nor be sorry if you lose.”. 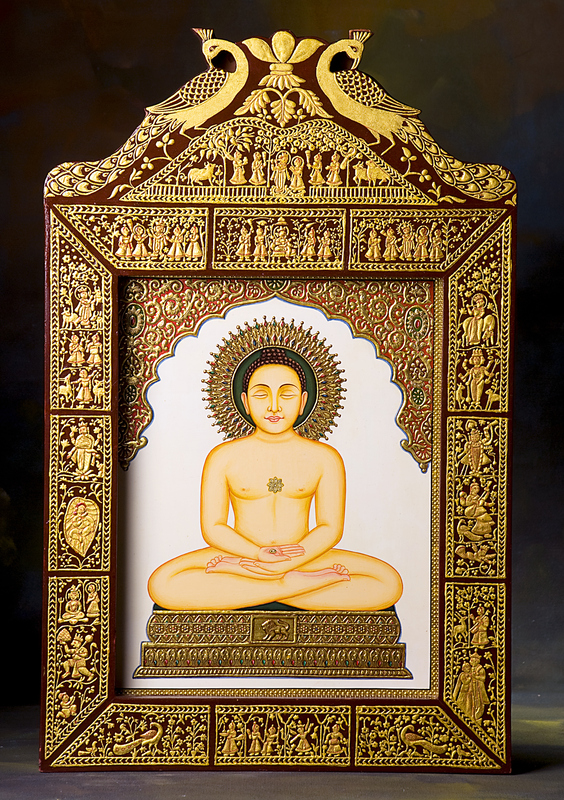 Hold that thought and behold this artistic handcrafted 24 carat gold leafed Lord Mahavira frame exclusively available with Urja Utsav. For orders and inquiries call us at +91-9413335533, email at urjautsav@gmail.com or simply drop us a message.